FOUNDED, OWNED AND MANAGED BY ENGINEERS. Our philosophy has not changed since we first opened our doors in 2006. We have always and will be true to our mission – to work together with our clients to find the right solution for their building project. We do this by combining our traditional values of integrity, honesty, commitment, with our innovative thinking, technical excellent and extensive construction experience. It is for these reasons that Interspan is recognised and partnered with major construction contractors as the post-tension company of choice. Interspan was created as an alternative to conventional post-tensioning companies, with the focus of providing an integrated design, manufacturing and construction service for building projects – rather than just a post-tensioning supply company. James Laws migrated to Australia in 2004 and by 2005 he and Don Fraser had successfully turned around the post-tensioning company where they both worked together. In 2005 the idea was formed to use their skills to start their own company. Don, a civil engineer and James, a quantity surveyor, had the vision of creating a post-tensioning slab system for residential and commercial buildings that provides genuine cost and time savings for their clients, within a framework of an integrated team culture. A team culture of empowered and enthusiastic individuals committed to giving value to their clients every day. Interspan has grown consistently since its inception. The company revenue in 2006 was $3 million, which has now grown to $70 million. Interspan is now on track to reach $100 million within the next three years. Interspan is a privately owned company, which means there are fewer management layers. The result is an agile company that is able to solve problems, create solutions and innovate faster. OUR TEAM, YOUR TEAM. WORKING TOGETHER. 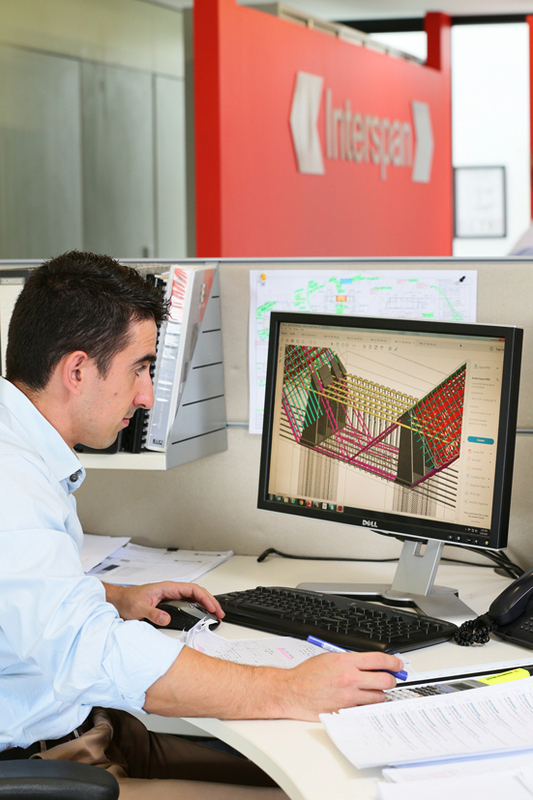 We’ve assembled a team of 350 highly experienced design engineers, project staff and site teams in Australia, UK, Europe, the Middle East and Asia. We are small enough to talk to each other every day but large enough to have specialists in each area who create the optimum engineering solutions for our clients. Our offices connect daily, to ensure we share the latest information within the team and continue to learn, grow and innovate. At Interspan, we focus on being user-friendly and maintaining strong long-term relationships. We enjoy the opportunity to meet and collaborate with clients and partners around the world. Our objectives are shared: producing a quality end product – one that we can all be proud of. SPECIALIST ENGINEERING AND CONSTRUCTION SERVICES. Since we started, we have been adding value to our clients through innovation, problem-solving and technical excellence through our specialists engineering and construction services. Our core focus is on the design and delivery of superior post-tensioning systems and engineering solutions. 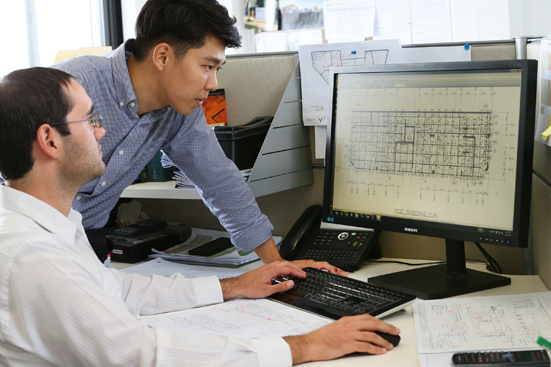 We do this by providing technical consultancy and support for the full range of works from initial design to complex detailed dynamic analysis, from construction engineering to on-site activities. Our commitment to continual improvement and innovation provides our clients with leading edge technology and best industry practice. The results are cost-effective, reliable and efficient engineering solutions for post-tensioned and reinforced concrete construction. Interspan has achieved a steady, sustained growth within a continually changing market through our dedication to innovation and client service. We’ve not strayed from our core business – post-tensioned and reinforced concrete solutions for buildings, on time and on budget. Our high level of staff retention allows us to achieve reliable results, and maintain a stable and consistent worksite crew throughout individual projects. The Interspan post tensioning system is a sustainable solution. It offers substantial savings over conventional reinforced concrete by reducing material, reducing installation costs and reducing construction time. In addition, the post tensioning system is able to provide larger spans and reduced slab thicknesses which increases the useable floor space of buildings, which makes this system an economical choice for our clients.